When kids learn to set the dinner table, it makes dinner time feel special. Look at the picture below to find out where the forks, knives, spoons and napkins go. Learn how to fold napkins in fun way with these instructions. It’s fun for the kids to get involved with meal preparation and table setting during holiday meals. Get them involved by printing out our name tags and let them help in planning holiday meals. 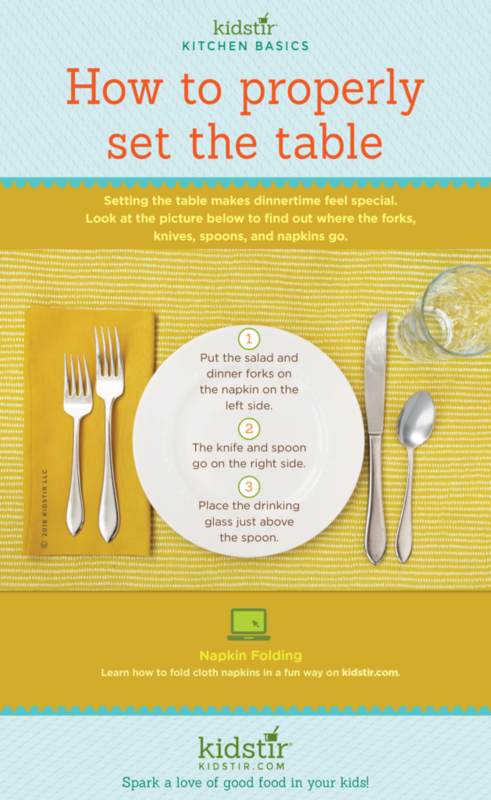 We’d love to offer this Kids Table Setting Infographic for you to share on your blog. Just select and copy the code snippet below and paste into your next blog post. 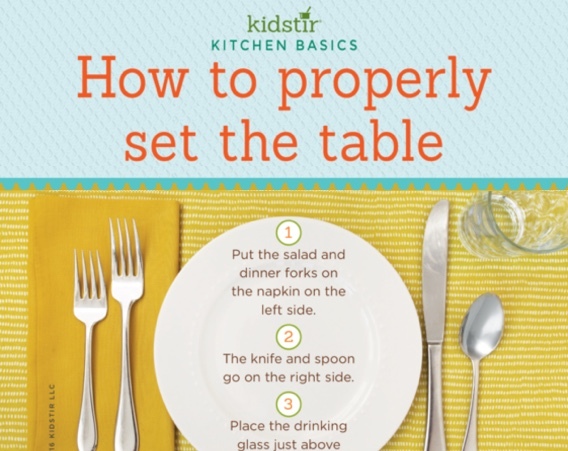 We’d love for everyone to share this page on social media or email using the buttons below so all the kids you know can have fun learning about teaching Kids how to properly do Table Setting!